As the new allotment slowly takes shape, I've found myself left with a strip of ground about 3m long, and 1m wide, with a 2m tall metal pole framework sunk into it which has proved impossible to dig out. Having removed nearly a dumpy bag's worth of couch grass, bindweed, parthenocissus root and bramble from the strip, I've found a blackcurrant bush underneath all the undergrowth and the ground just needs plenty of organic matter dug into it to be cultivatable. It's like a little bonus piece of land, a strip that I hadn't realised I had when we started clearing and levelling and digging two years ago. But what to grow in it? That immovable metal pole and crossbar demands something tall that will need training, which immediately made me think of raspberries. 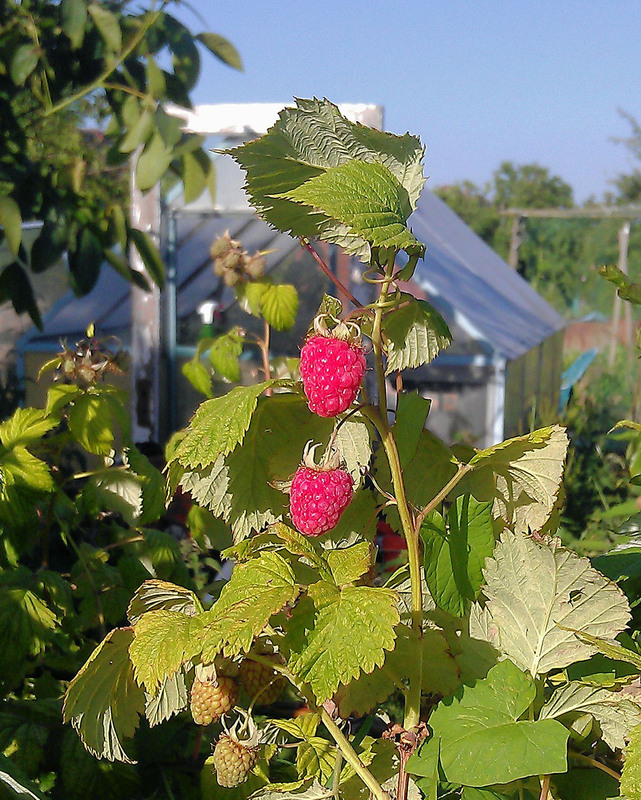 But I have thriving raspberries on the old plot: Glen Ample, and All-Gold and the purple Glencoe. I don't really need any more. It won't be blackberries either: I have enough trouble getting the blackberry bushes to stay within the confines of their bed as it is. I've just cleared a bramble patch measuring 7m by 6m at the top of this new plot and I know for sure that I will have missed some roots which will spring into vigorous life again in April. But what about the raspberry/blackberry crosses? What about tayberries, loganberries, boysenberries, or, digging out half-remembered names from catalogues, salmonberries, dewberries, whortleberries, chokeberries, or wineberries? 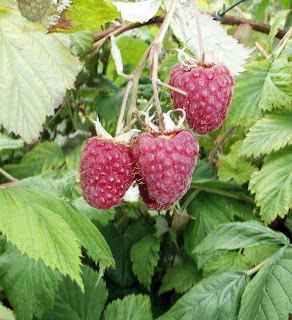 An American hybrid between a specific raspberry cultivar and a a blackberry, loganberries are thornless and produce masses of fruit which look like large cone-shaped raspberries. However, tayberries, below, are said to be sweeter. 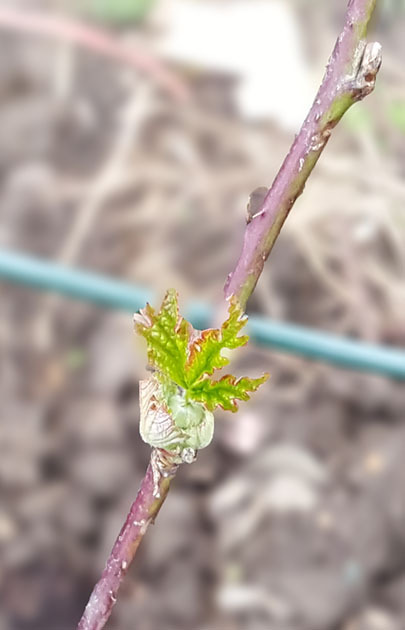 This is a cross between the European raspberry (Rubus idaeus) and European blackberry (Rubus fruticosus). The plant produces prolific crimson fruits which look like an elongated raspberry and are said to be very sweet. More complicated, this one: as well as the European raspberry and blackberry, the boysenberry also includes the American dewberry (Rubus aboriginum) and the Loganberry (Rubus × loganobaccus) in its ancestry. The result is a fruit which looks like an oversized blackberry and tastes like one too. Boysenberries are hardy and vigorous - maybe a bit too overwhelming for my small 3m bed. Not a hybrid but a group of Rubus species, these are trailing brambles. The fruit are reputed to be difficult to pick as they will readily squish under the slight pressure when ripe. The stems are pretty thorny too. I'm not really after a ground cover plant, so I think I'll leave dewberries off the list for now. Even though I like the name. This is an Asian raspberry variety, Rubus phoenicolasius. Another bramble species, this is Rubus spectabilis. Not even a Rubus, but a Vaccinum, or blueberry. This is one in a long line of superfood berries. There's a new one every month, isn't there? Then there are ollalieberries, which are a specific blackberry hybrid; youngberries, which are three-quarters of a boysenberry, being a cross between the European raspberry, blackberry and dewberry; marionberries, a blackberry cultivar (Rubus L. subgenus Rubus) developed in the US. 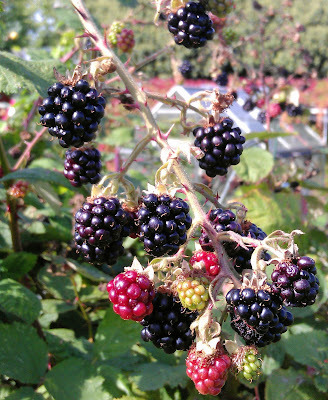 Differentiating between blackberry and raspberry variants can be confusing: firstly the Rubus genus will readily hybridise naturally, and secondly, because growers take advantage of this trait to try to cultivate versions with larger, sweeter fruits, fewer thorns, and more prolific yields. Tayberry leaves unfurling in late February. After considering all of the above, I've bought, just for starters, three tayberry plants this year, and if they go well, there should be space in that bed for a couple more.They are thornless, a big plus having shredded both my hands on the bramble thicket earlier this year, with the promise of fruit in late July and August, which means they should bridge any gap between the end of the summer fruiting raspberries and the start of the blackberries in August. Glen Ample raspberries - another reliable cropper.